Ruby Walker pictured in Newcastle before her surgery. The Arbroath community has been closely following the progress of Ruby Walker, whose family’s dreams were answered when she was successfully matched with a donor. Less than a week after she turned 10, specialist surgeons at Newcastle Royal Infirmary performed the life-saving organ transplant on the brave Arbroath primary pupil on March 28. The last two weeks have been a rollercoaster for the Hayshead Primary School pupil and her family, but she has battled on. On Tuesday, 14 days post transplant, Ruby’s mum Diane revealed there had been a problem with the youngster’s left lung. She said: “Unfortunately, Ruby has her breathing tube back in and is sedated. Diane said they had been told it was a rare but quite serious complication from transplant. “She had a stent fitted successfully yesterday and today’s CT scan showed a good flow of blood into her lung but it also showed some areas in the lung that they are still concerned about,” she said. “This afternoon they had a look inside the lung and it showed healthy tissue which was a good sign. “She will remain sedated for the next few days while they continue to monitor closely and hope her lung starts to play the game. The previous week Diane revealed Ruby had dealt with “a few bumps in her journey” but she was recovering well and was continuing to be “as brave as ever”. 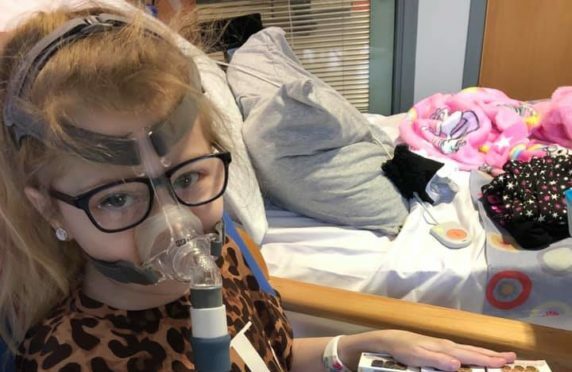 Diagnosed with cystic fibrosis at the age of just two weeks, the youngster’s name had been on the transplant list since October 2016 after her lung function dropped to 35%. 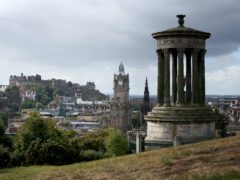 She was in an Edinburgh critical care unit before being transferred to Newcastle. The local community has continued to rally round Ruby, offering message of love and support to the brave tot. Throughout her daughter’s long wait for new lungs, Diane has promoted the importance of organ donation and efforts to raise awareness of cystic fibrosis, a genetic condition which affects more than 10,000 people across the UK.